Black glass cantilever corner TV stand with swivel bracket- suits up to 50 inch LCD LED screens, max vesa fitting 400 x 400, with 800mm wide base unit. 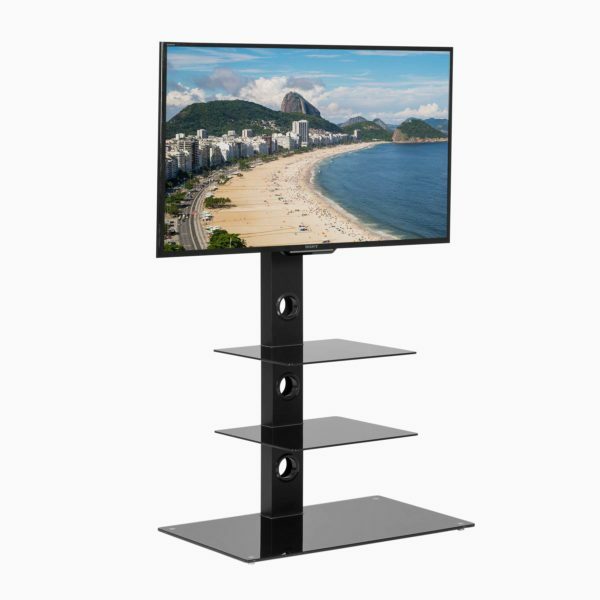 Comprising of a 3 shelf base unit and a rear extension pole to mount your flat screen television on, the MMT-CB32 offers the practicality of a traditional stand, coupled with the “on the wall” look that the VESA mounting bracket provides. Suits flat-screen TVs between 27" and 50"